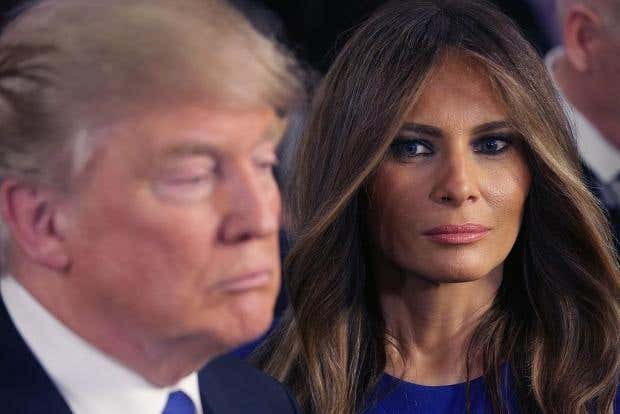 According to the reports from US Weekly, President Donald Trump’s wife Melania Trump has refused to share a bed with her husband Donald. Multiple sources claim that the former fashion model who’s currently living 200 miles away from Washington, D.C., in New York City’s Trump Tower refuses to share a bed with Donald even on the rare occasions when they sleep in the same city. It may be true since she has not lived a life that has groomed her for politics. Many other spouses of politicians have had a chance to ease into the political life by being by their spouse’s side as they made their way up the political ladder.